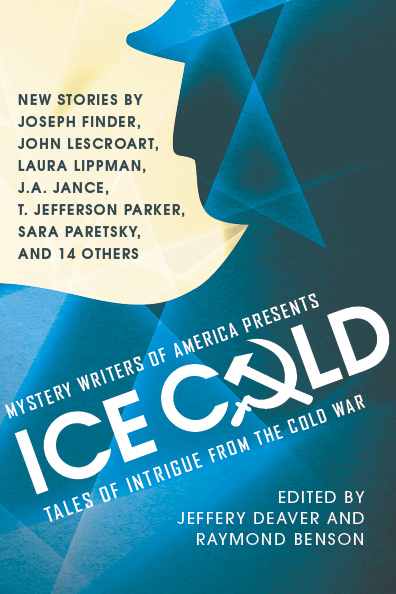 On Tuesday, April 29th, we will be launching our newest anthology, Ice Cold, edited by Jeffery Deaver and Raymond Benson. The launch party will be held at The Mysterious Bookshop, 58 Warren Street, New York, NY. Phone number is: 212-587-1011. The event will begin at 6:00 p.m. and many of the contributors are scheduled to appear. In addition, many of the 2014 Edgar® Award nominees will also be at the bookstore. … And me! I’ll be there! Though you won’t know me because I’ll be incognito. If you do see through my clever disguise, tell me to buy you a drink, and I will! ‘Cause good sleuthing deserves to be rewarded.